I have created a story in SAP Analytics on cloud on consumption view (2CCFIGLLINEITEMQ0001) . i have created a chart and set 'Amount in company code currency' in measures. But i want to see amount for specific GL account. Hence, I have added filters in the chart on GL but here is the issue. GL account is hierarchy and when i am applying filter on parent node or root node or leaf node , the chart is not considering it in filteration. But when I applyimg filter on GL in flat presentation, the filter works. I need to apply filters on more than 100 GL accounts hence selecting each GL in filters is time consuming. Instead , if i apply filters on hierarchy node it will be lot easier. Could you please help on this and provide solution so that filter on hierarchy node works in Analytic for cloud story. Have you considered using property type filter? 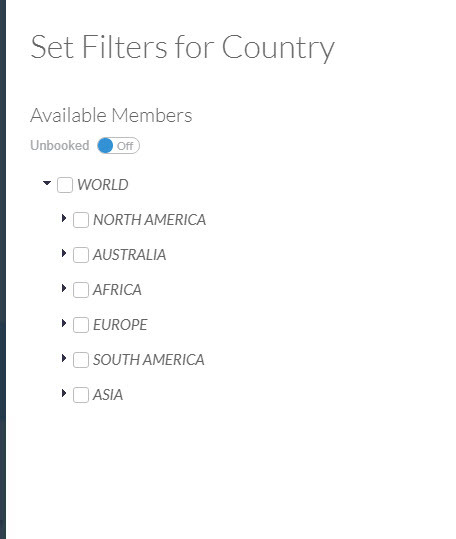 Your account dimension would need to have some properties in it that you could filter on. Do you have any screenshots of what you are seeing? here the screenshots of an example using BW with a hierarchy. Screen 01 shows the chart with the hierarchy drill down on world. Screen 2 shows the filter with hierarchy as part of the dimension in the chart definition panel. then I would suggest you open a case with the support team and they can look into it in more details. did you setup the filter on just the visualization or the page or the story ? I have clearly mentioned that filter is applied on the chart only. But issue is when I am adding filter on GL account using hierarchical view , the filter values doesn't work but if I apply filter using Flat presentation, the filter works. Under one hierarchy we can have 100+ GL Accounts hence it is not possible to filter on each value in chart (using flat presentation). 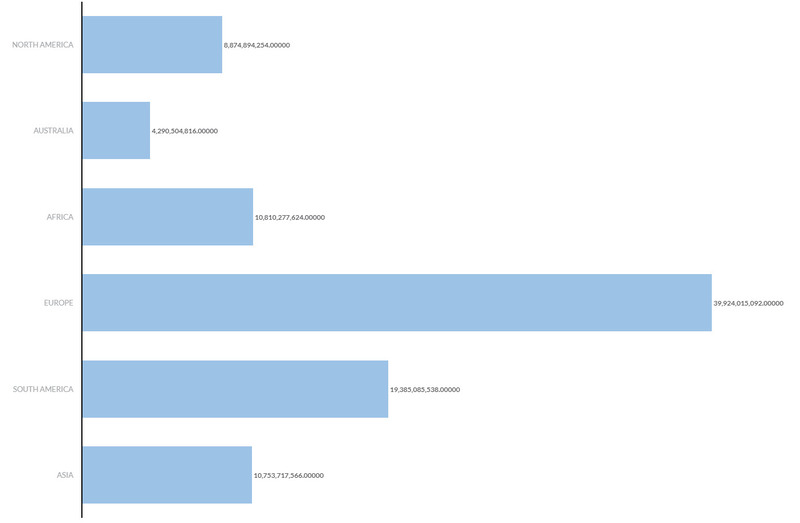 It is way easier to apply filter on hierarchy for which the data should be displayed in the chart. 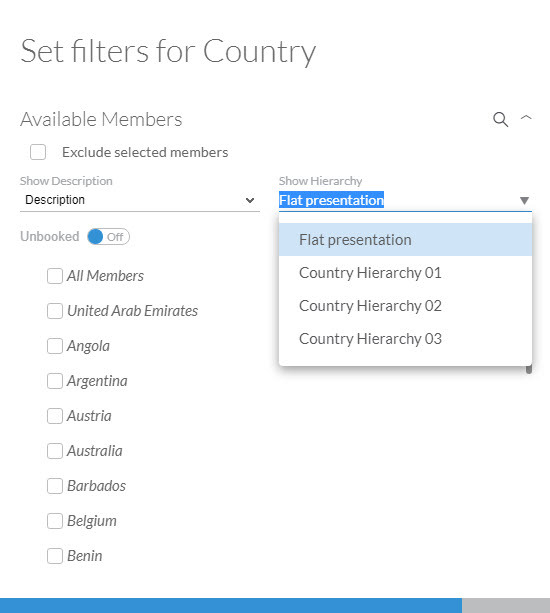 Could you please provide me solution or reason why the tool is not considering Hierarchy filter in SAP Analytics for cloud?